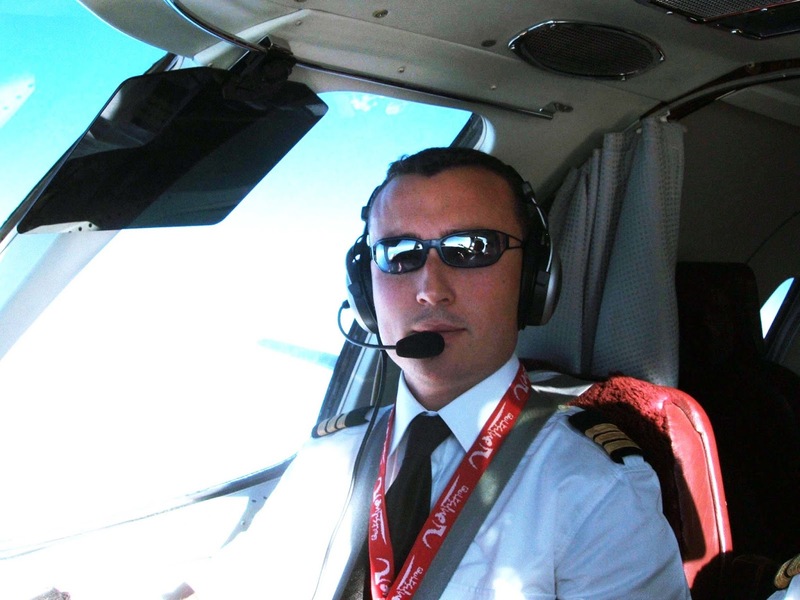 "My life in aviation began in 1999, when I started my training as a commercial pilot. After many years reading about aviation on magazines and books, I had the opportunity of studying what I had always wished. After finishing my studies and considering the different possibilities in order to start my professional life in aviation, I chose flying instruction. I remember the first day, when the teacher told us to explain why we were there. Everyone said almost the same “I’m here to get flying hours”. It was then when I realized that I thought differently because I was there due to my love for teaching. After 4 years carrying out instruction tasks such as flight instruction (more than 1400 hours), simulator instruction (more than 1600 hours), ground instruction, and a year as a CFI (chief flight instruction), I considered that it was the time to change and continue my career. In 2007 I got the opportunity of flying an executive airplane – a Cessna Citation 560 Ultra – which allowed me to have my first experience flying a jet airplane across Europe, and flying to many different places. The fact of changing from flying light Cessnas and Pipers to a Cessna Citation was a pretty important step forward, especially in terms of professional maturity achieved by performing a charter operation in an airplane flying at 0.7Mach, travelling to many different airports and with just a few hours to prepare the flight. Unfortunately, this project just survived only for 2 years. The worldwide crisis which affected in a very important manner to the private aviation sector, closing companies, including the one I was flying for. Despite that situation, and taking into account that in my career I’ve always had the goal of learning and give the most in every company I worked for, I could add to my résumé 370 hours of jet time and the experience of being the security and safety manager of the company. In that moment, the doubt of what to do appeared. The aviation market was really affected by the crisis. Airlines weren’t hiring pilots and in the only offers that could be found on the Internet, the requirement of being a B-737 or A-320 experienced pilot was common. Was in that moment when I took the decision of developing a project that had been in my mind since for a long time. A project focused on working in these areas: aviation instruction, quality and image services, both for individuals and companies. This project, FLYLAB CONSULTING, was established in 2012 and continues growing up in services and partnerships. Nowadays we are creating a database for aeronautical members in order to help people in their job seek, through contacts with airlines or international brokers, and by offering complementary training to improve their resumes. In addition to my work at FLYLAB CONSULTING, I also work in a Spanish airline, as an ATR 42 copilot , Head of Training of the ATO and Safety Manager (SMS). Although it seems to be a very busy life, I’m very lucky because I can develop a personal project and continue flying. The most important thing for me is that I have enough time to spend with my family without being forced to fly all the time. That’s a priority in my life. Of course I love flying, but the fact of saying “good night!” to my baby almost every day is amazing. I hope you have enjoyed this quick summary of my professional life. I invite you to visit the web of my company - www.flylabconsulting.com/joomla/en - in which you will find, more in detail, all the services we offer. Carlos, you are most definitely a Fabulous flyer. And I wish you the very best success in your future!